Need to replace wood, steel, or aluminum components with a strong, lightweight, lost-lasting option? Environmental Composites stocks a comprehensive array of FRP products with a fast order processing. Fiberglass Reinforced Plastic (FRP) Products offer reinforced structural shapes with the strength of traditional building materials but with a longer life cycle. Lightweight and easy to install and the additional benefit of being built for safety. 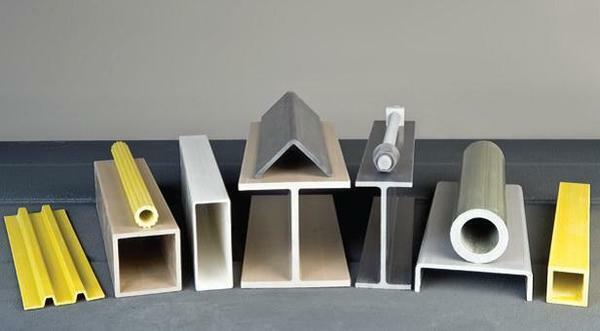 FRP Structurals have a surface veil to protect against glass fibers penetrating the resin surface and to provide corrosion and ultraviolet resistance. Standard Polyester (ST): General purpose isophtalic polyester resin, with good corrosion resistance. Stocked in an olive green color. Fire Retardant (FR): Fire retardant isophtalic polyester with a Class 1 fire retardance, with an ASTM e-84 flame spread rating of 25 or less and low smoke generation. Stocked in gray or yellow colors. Fire Retardant Vinylester (VE): Fire retardant vinylester resin with a Class 1 fire retardance, with an ASTM E-84 flame spread rating of 25 or less and low smoke generation. It is highly corrosion resistant and capable of higher surface temperatures. Stocked in beige or yellow colors. *NSF Certified (Food Grade) product available upon request. Custom colors are available for all shapes. Please contact us today at (352) 343-3449 or reach out to us on our online contact form to learn more about fiberglass structural profiles.